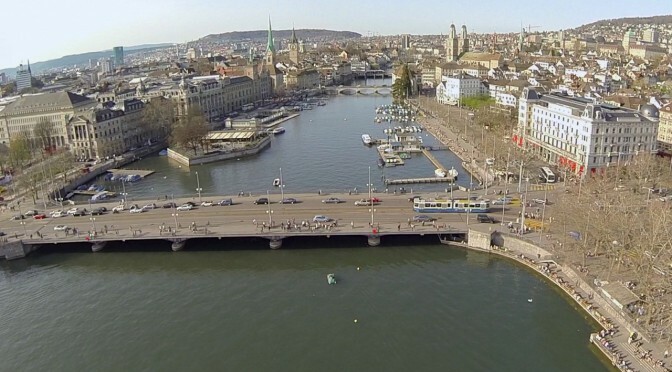 The video shows a compilation of shots taken in and around Zurich in Switzerland. I was flying above the clouds searching for the sun, blowing autumn leaves in the forest and flying over water and chasing cars. The Discovery Pro is a beast and a lot of fun. Want to build your own? Check out my build log: part1, part2 and part3! 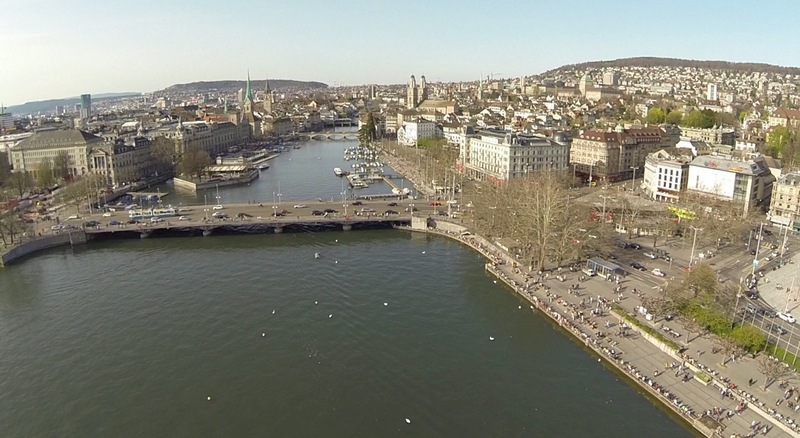 The skyline of Zurich with the Bellevue bridge and the Limmat in spring 2014. 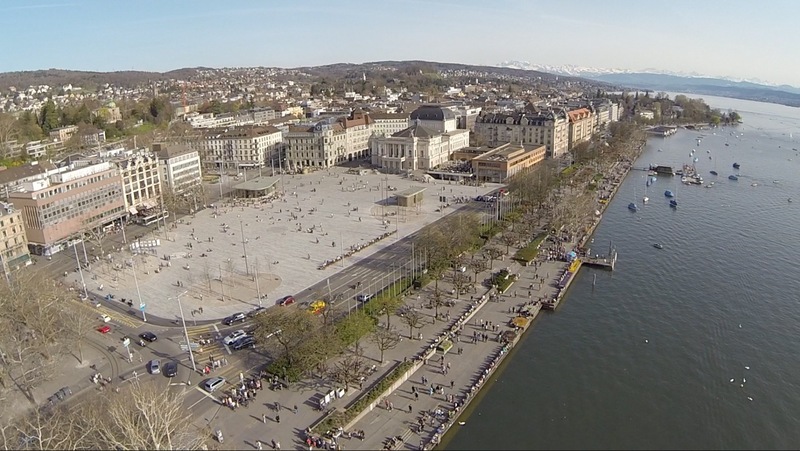 The newly redesigned Sechseläuten square in Zurich with the opera house in the background. 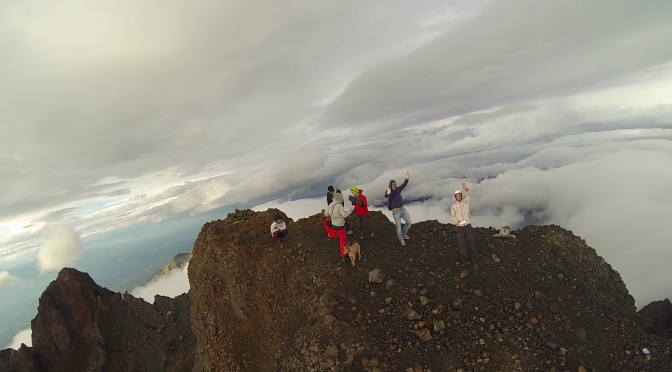 Trekking on Mount Rinjani is a very popular activity on Lombok. With 3726 m (12’224 ft) above sea level, Rinjani is the second highest peak in Indonesia. The most popular access is from either Senaru or Sembalun. Trekking times vary depending on the route and destination. Wikitravel has a good article about it. I’ve chosen the 3 day / 2 night trip witch takes you to two locations on the crater rim, to the hot springs at the crater lake as well as to the summit. It is the most popular option, however there are also shorter tours which only take you to the crater rim. We were especially unlucky with the weather. It was raining almost every day, which is very uncommon for the dry season. However, the wet season was just around the corner, starting in December, when trekking is not feasible anymore. With ponchos and backpack rain covers we tried to keep everything dry along the route. Mount Rinjani, Indonesia in the clouds. 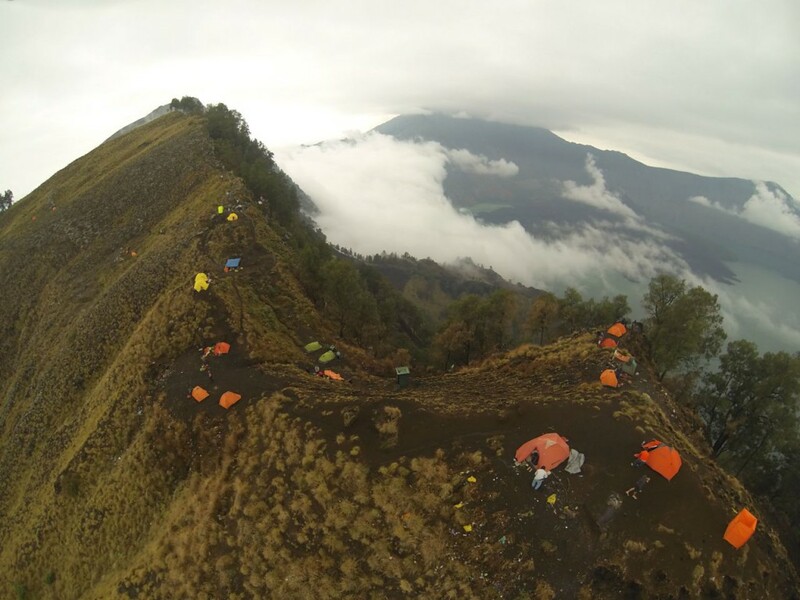 Looking down from the crater rim over the camp site near Senaru. Mount Rinjani crater lake on Lombok, Indonesia. I’m just back from my trip to Indonesia, a beautiful country with big contrasts, lovely people and impressive volcanoes. 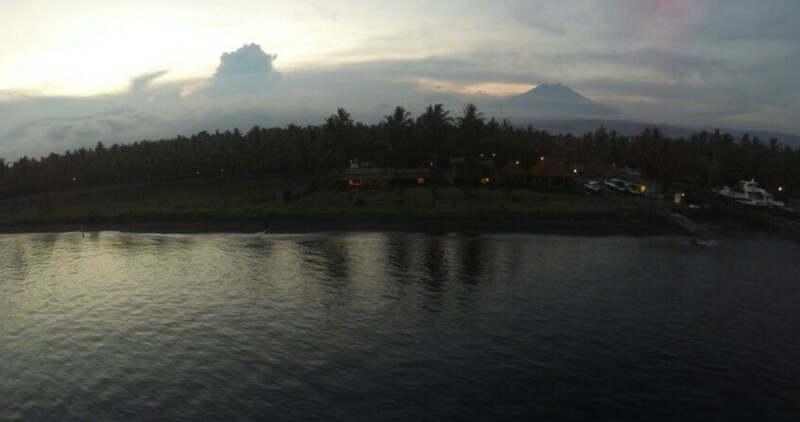 On my journey in November 2013 I visited two islands, first Java and then Lombok. In my backpack I am not only carrying a GoPro but also the Phantom quadcopter 🙂 I thought it would be the perfect opportunity to take some great shots and videos at very unique locations. But please see yourself. 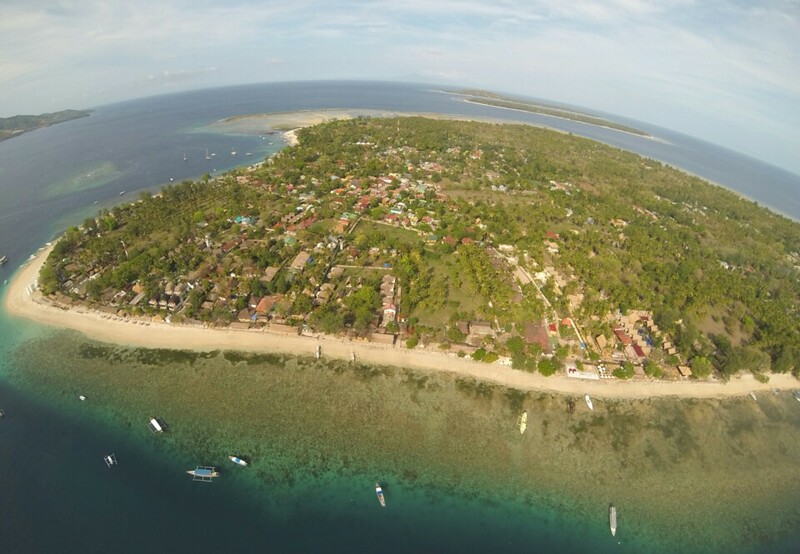 Gili Air, one of the three Gili islands off the coast of Lombok, Indonesia. 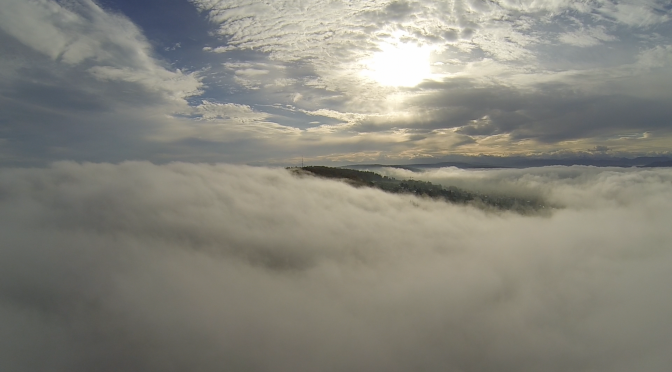 Photo taken with the GoPro on a Phantom copter. Ijen crater, a volcano and sulfur mine at the same time. I was there at night to catch the blue flames and inhale some nasty stinky sulfure clouds. Mount Rinjani on Lombok. It is the second highest mountain in Indonesia with 3726m above sea level. We hiked all the way to the top in three days. Check out the video! 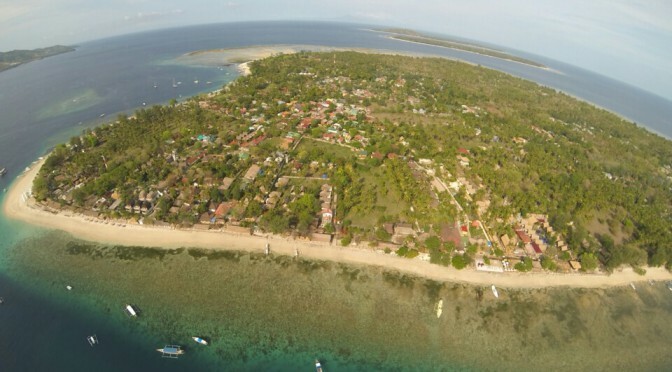 Gili Air, tropical island off the coast of Lombok with is great for snorkeling and relaxing. I am still sorting through the Gigabites of photos and videos. Please be patient for the final videos to be edited and uploaded. But they are coming! Ijen crater in east Java. I had no problems at all at the airports in Indonesia. I guess they don’t really know what it is, but I also never had to open the bag for special inspection. I just followed the general ‘air travel’ regulations, which request, that you put the batteries into the carry-on (FAA rules). 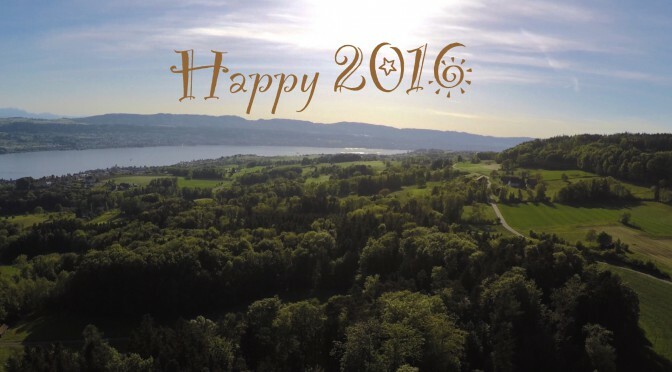 There are no regulations regarding the drone (electronics) itself. The airports in Europe and the bigger hubs in asia (e.g. Singapore) usually know the rules for batteries very well. The www.fpvlab.com forums are a great resource for travel reports, especially flying through exotic airports. I’ve put the phantom, remote and charger into the check-in bag. I removed the landing gear and propellors to fit it into a large backpack. The batteries and the GoPro went into the cary-on. I had no space for the Phantom there, but that should work too. In case they want to open your bag at security, always tell them first, that you have batteries inside. Sometimes, security personnel gets scared by the look of batteries. 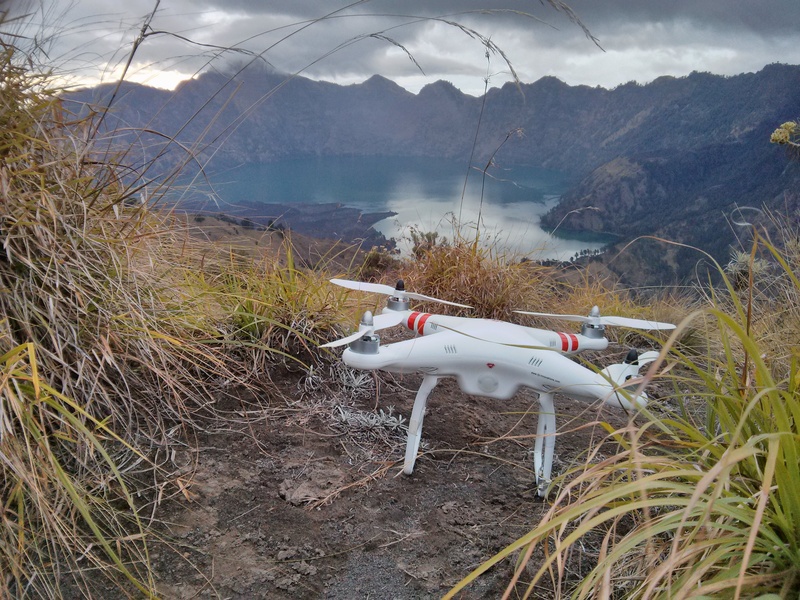 In Indonesia itself, people have rarely seen a drone. Therefore, they are mostly curious and a bit anxious at the same time. People ususally just watch from a distance, sometimes people start talking with each other. Sometimes they approach you. They are always friendly and just want to talk and find out what the white thing is that you bring and fly. When asked for the price of your toy, you might not want to give exact numbers to any stranger. Given the average daly income of $5 in Indonesia, your toy might look absurdly expensive. 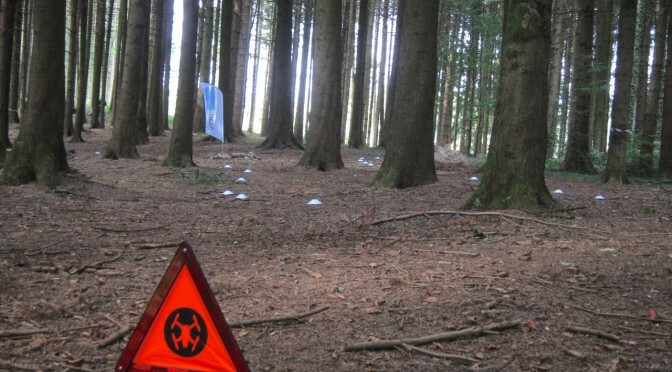 When walking around / hiking, I had the phantom hanging off the backpack. In order to attract less people I usually put a rain-cover over the phantom, so people can’t see the drone. This makes it easier for you to get around without explaining to everyone what that white thing is you are carrying…. 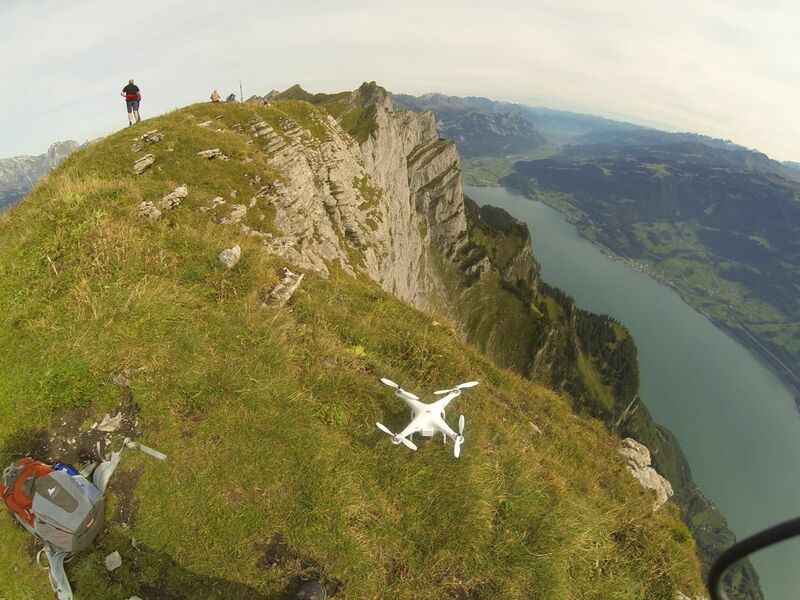 For filming I used my stock Phantom quadcopter with a GoPro Hero3. The hike itself starts in Arvenbüel (1273 m) and takes about 2h40 to climb up to Leistkamm (2101 m) and another 2h to get down again. The view along the hike is very rewarding, especially on top where you are standing on a small rim. 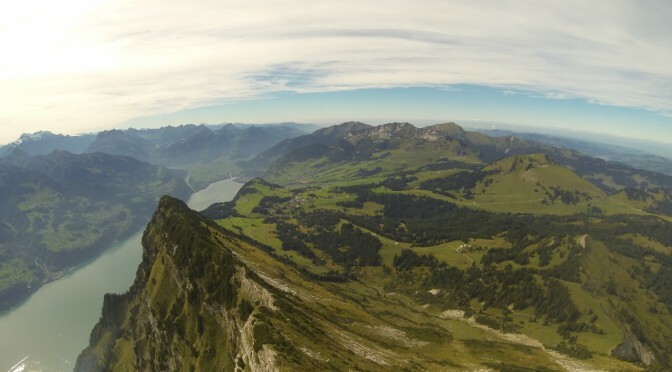 To the west is Lake Walensee, to the south you are looking along the Churfisten rim, of which Leistkamm is the most Northern one. Phantom and backpack on top of Leistkamm in Switzerland. 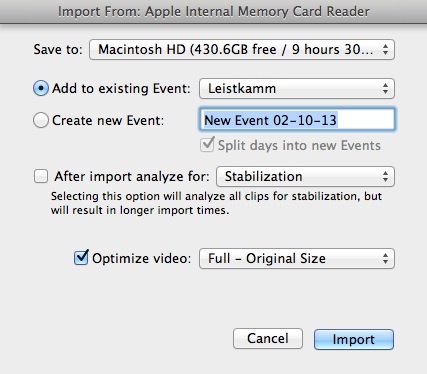 Import the videos straight from the camera or sd-card into iMovie 11 through the “Import from Camera…” dialogue. In the next dialogue I then select Optimize video in Full – Original Size. The import takes quite some time, as the videos are transcoded while being imported. Once finished, the videos can be added to projects (such as 30fps NTSC). Without any additional transcoding the “Slow Motion” settings of the clip use the higher frame rate to make super smooth videos. Example slowdowns are 50% with a 60fps clip or even 25% on a 120fps clip. iMovies’ Import from Camera dialogue preserves the high frame rate (60 / 120fps) from the GoPro without additional transcoding. Important: Any other import method will not work properly. The higher frame-rate will be lost if you add the exact same file through the general “Import” function or through the iPhoto library. This must be a bug or accidental feature of iMovie, depending on how you look at it. Have fun!